Standards for Quality for Waters of the State are contained in UAC R317-2. 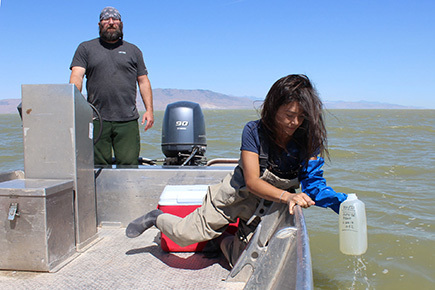 The water quality standards are intended to protect Utah’s waters and improve the quality for beneficial uses. Beneficial uses include drinking water, fish and aquatic life, wildlife, agricultural, industrial, and recreational uses. Once the beneficial uses are established, criteria that are protective of the beneficial use are set. The standards must be reviewed and updated (if necessary) every three years through a process called the Triennial Review. In addition to the Triennial Review, standards are changed and updated as new information becomes available or in response to changes in laws from the State or Federal government. Proposed revisions to the Standards are reviewed by the Water Quality Standards Workgroup. The Workgroup makes recommendations for standards changes to the Water Quality Board who is responsible for promulgating the standards. Current proposed changes to the Standards are available on the public notice page. Guidance documents for standards and support documents are available. Permit limits are set to ensure that the standards in the receiving waters will not be exceeded. Permit limits are typically developed by modeling the concentrations in the receiving waters after the mixing zone. Antidegradation Reviews are intended to ensure that waters that have better quality than required by the standards are not degraded unless the degradation is necessary for important social or economic reasons.